I have recently watched the tense Cold war espionage thriller Bridge of Spies. It was directed and co-produced by Steven Spielberg, written by Matt Charman, Ethan and Joel Coen and stars Tom Hanks, Mark Rylance, Amy Ryan, and Alan Alda. The film tells the story of lawyer James B. Donovan, who is entrusted with negotiating the release of Francis Gary Powers—a U.S. Air Force pilot whose U-2 spy plane was shot down over the Soviet Union in 1960—in exchange for Rudolf Abel, (Soviet KGB Colonel Vilyam Fisher) who was caught and Convicted by the United States of espionage in 1957 but did not receive the death penalty because He had been serving his country honorably, and Donovan argues that he might prove useful for a future prisoner exchange. Donovan appeals against the conviction of Abel to the Supreme Court based on the lack of a search warrant for the seizure of Abel’s ciphers and photography equipment. For his principled stand Donovan and his family are harassed, the conviction is upheld and Abel is sentenced to 30 years. Donovan then receives a letter from East Germany, purportedly sent by Abel’s wife, thanking him and urging him to get in contact with their lawyer, whose name is Vogel. The CIA think this is a back-channel message hinting that the USSR is willing to swap Powers for Abel. They unofficially ask Donovan to go to Berlin to negotiate the exchange; he arrives just as the Berlin Wall is going up. Crossing in to East Berlin, he meets with a KGB officer in the Soviet Embassy and is then directed to Vogel, who represents the Attorney General of the German Democratic Republic he wants to swap Abel for an American graduate student named Frederic Pryor, who had been arrested in East Germany; in the process the GDR hopes to gain official recognition by the United States. Donovan insists both Pryor and Powers should be swapped for Abel. So The exchange is arranged to take place at the Glienicke Bridge, which connects Potsdam with Berlin, on February 10, 1962, and both Abel and Powers anxiously await their fate on opposite ends of the bridge…. I have recently watched The epic science fiction adventure film The Empire Strikes Back again. It was originally released 21 May 1980 and is set three years after Star Wars. Following the destruction of the Death Star, the Rebel Alliance has been driven from their former base on Yavin IV by the Galactic Empire. The Rebels, led by Princess Leia, have set up their new base on the inhospitable ice planet Hoth. The Imperial fleet, led by Darth Vader, continues to hunt for the Rebels’ new base by dispatching probe droids across the galaxy. ON Hoth Luke Skywalker is injured and captured by a yeti-like Wampa but manages to escape. Luckily He is later rescued by Han Solo. Meanwhile an Imperial probe droid has located the Rebels hidden base and alerted the Empire who launch a large-scale attack, using AT-AT Walkers to capture the base. Despite heavy resistance the Rebels are forced to retreat. Han and Leia try to escape on the Millennium Falcon with C-3PO and Chewbacca, but have mechanical difficulties. Vader summons bounty hunters, including the notorious Boba Fett, to assist in finding the Falcon And locating the Rebel Alliance. Luke meanwhile, escapes with R2-D2 in his X-wing fighter and crash-lands on the swamp planet Dagobah where he meets enigmatic Jedi Master Yoda and gradually learns to use the Force under his tutelage. After evading the Empire, Han sets a course for Cloud City, a floating colony in the skies of the gas giant planet Bespin. Cloud City is run by Han’s old friend, Lando Calrissian. Unknowingly, the Millennium Falcon has been tracked for the Empire by Boba Fett and Lando is coerced into cooperating with the Empire and leads them into a trap where they are handed over to Darth Vader and Boba Fett. Vader plans to use the group as bait to lure out Luke, intending to capture him alive and take him to the Emperor. Vader takes Leia and Chewbacca into custody. He intends to hold Luke in suspended animation in a block of carbonite for delivery to the Emperor. Han Solo is also frozen and given to Boba Fett who takes him to Jabba the Hutt and claims the bounty on Solo. During his training on Dagobah, Luke sees a premonition of Han and Leia in pain in a city in the clouds and must decide whether to stay on Dagobah and complete his training to become a full Jedi Knight or to leave, confront Vader and save his friends. Luke leaves against Yoda’s wishes, and Arrives at Cloud City, where he falls into Vader’s trap. The two engage in an exciting lightsaber duel as Vader tries to convince Skywalker to join the Empire, before making a startling revelation which leaves Luke in shock. Meanwhile Leia senses Luke is in danger so they rescue him, before both Lando and Chewbacca set off in the Millennium Falcon to rescue Han from Boba Fett who is journeying to Tattoine to hand Han over to the vile gangster Jabba the Hutt and collect the reward. The late, great American comedian, actor television star Julius Henry “Groucho” Marx sadly passed away on August 19 at Cedars Sinai Medical Center in Los Angeles. After having been hospitalized for pneumonia on June 22, 1977. He was Born 2nd October 1890 in New York City. He is known as a master of quick wit and widely considered one of the best comedians of the modern era. His rapid-fire, often impromptu delivery of innuendo-laden patter earned him many admirers and imitators. He made 13 feature films with his siblings the Marx Brothers, of whom he was the third-born. He also had a successful solo career, most notably as the host of the radio and television game show You Bet Your Life.Julius took to the stage as a boy singer in 1905. Though he reputedly claimed that as a vaudevillian he was “hopelessly average,” it was merely a wisecrack. By 1909, Juius and his brothers became a vaudeville singing group. Billed as “The Four Nightingales”, Julius (Groucho), Milton (Gummo Marx), Arthur (Harpo Marx), and another boy singer, Lou Levy, traveled the U.S. vaudeville circuits to little fanfare. The family moved to La Grange, Illinois, to play the Midwest. After a particularly dispiriting performance, Julius, Milton, and Arthur began cracking jokes onstage for their own amusement. Much to their surprise, the audience liked them better as comedians than as singers, so They modified the then-popular Gus Edwards comedy skit “School Days” and renamed it “Fun In Hi Skule”. For a time in vaudeville all the brothers performed using ethnic accents. Leonard, the oldest, developed the Italian accent he used as Chico Marx to convince some roving bullies that he was Italian, not Jewish. Arthur, the next oldest, donned a curly red wig and became “Patsy Brannigan”, a stereotypical Irish character. His discomfort speaking on stage led to his uncle Al Shean’s suggestion that he stop speaking altogether and play the role in mime and Julius Marx developed a fast-talking wise-guy character that became his trademark. Groucho Marx made 26 movies, 13 of them with his brothers Chico and Harpo and developed a routine as a wise-cracking hustler with a distinctive chicken-walking lope, an exaggerated greasepaint mustache and eyebrows, and an ever-present cigar, all of which were carried over from his days in vaudeville, improvising insults to stuffy dowagers (often played by Margaret Dumont) and anyone else who stood in his way. As the Marx Brothers, he and his brothers starred in a series of popular stage shows and movies.Their first movie was a silent film made in 1921 & A decade later, the team made some of their Broadway hits into movies, including The Coconauts and Animal Crackers. Other successful films were Monkey Business, Horse Feathers, Duck Soup, and A Night at the Opera. Amazingly off-camera, Harpo and Chico were difficult to recognize by their fans without their wigs and costumes, and it was almost impossible to recognize Groucho without his trademark eye-glasses, fake eyebrows and mustache. Marx also worked as a radio comedian and show host. One of his earliest stints was in a short-lived series in 1932 Flywheel, Shyster, and Flywheel, co-starring Chico. In 1947, he was chosen to host a radio quiz program You Bet Your Life. Filmed before a live audience, the television show consisted of Marx interviewing the contestants and ad libbing jokes, before playing a brief quiz. The show was responsible for many memorable catchphrases ” Groucho also made a supposed response to a contestant who had nine children, which brought the house down. In response to Marx asking in disbelief why she had so many children, the contestant replied, “I love my husband.” To this, Marx responded, “I love my cigar, too, but I take it out of my mouth once in a while.” and it remains one of the most often quoted “Groucho-isms”. Throughout his career he introduced a number of memorable songs in films, including “Hooray for Captain Spaulding” and “Hello, I Must Be Going”, in Animal Crackers, “Whatever It Is, I’m Against It”, “Everyone Says I Love You” and “Lydia the Tattooed Lady”. Frank Sinatra, who once quipped that the only thing he could do better than Marx was sing, made a film with Marx and Jane Russell in 1951 entitled Double Dynamite. Following his death Marx was cremated and the ashes were interred in the Eden Memorial Park Cemetery in Los Angeles. His mausoleum marker bears only his stage name, a Star of David, and the years of his birth and death. 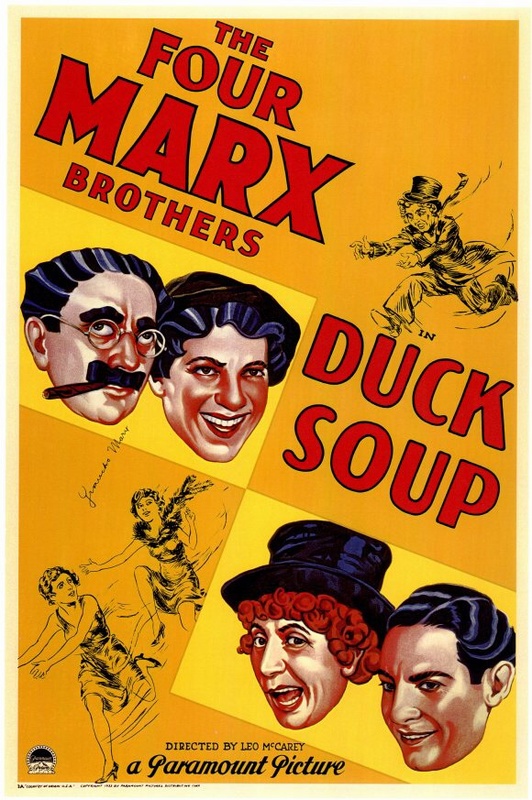 The Marx Brothers, continue to remain popular due to their quick fire wit, bizarre humour and comic timing which has also nspired many comics after them. John Deacon, the Bass Player with Rock Band Queen was born on 19th August 1951. Deacon grew up in Oadby, Leicestershire, playing bass in a local band, The Opposition, before moving to study electronics at Chelsea College, London. He joined Queen in 1971 on the strength of his musical and electronic skills, particularly the home-made Deacy Amp which guitarist Brian May used to create guitar orchestras throughout Queen’s career. Queen consisted of Freddie Mercury (lead vocals, piano), Brian May (guitar, vocals), John Deacon (bass guitar, guitars), and Roger Taylor (drums, vocals). Queen’s earliest works were influenced by progressive rock, but the band gradually ventured into more conventional and radio-friendly works, incorporating more diverse and innovative styles in their music. .
Before joining Queen, Brian May and Roger Taylor had been playing together in a band named Smile with bassist Tim Staffell. Freddie Mercury (then known as Farrokh/Freddie Bulsara) was a fan of Smile, and encouraged them to experiment with more elaborate stage and recording techniques after Staffell’s departure in 1970. Mercury himself joined the band shortly thereafter, changed the name of the band to “Queen”, and adopted his familiar stage name. John Deacon was recruited prior to recording their eponymous debut album (1973). Queen enjoyed success in the UK with their debut and its follow-up, Queen II (1974). .Their 1977 album, News of the World, contained two of rock’s most recognisable anthems, “We Will Rock You” and “We Are the Champions”. Among some of Queen’s other popular songs, are Killer Queen”, “Bohemian Rhapsody”, “Good Old Fashioned Lover Boy”, “We Are the Champions”, “Somebody To Love” and “Don’t Stop Me Now”, “Seven Seas of Rhye”, “Bicycle Race”, “Crazy Little Thing Called Love” and “Play the Game”. Queen have performed an estimated 700 concerts in countries around the world and by the early 1980s they were one of the biggest stadium rock bands in the world, A notable aspect of Queen concerts was the large scale involved. By the early 1980s, Queen were one of the biggest stadium rock bands in the world, and their performance at Live Aid is regarded as one of the greatest in rock history. Sadly though in 1991, Freddie Mercury tragically died of bronchopneumonia, a complication of AIDS, and Deacon retired in 1997. Since then, May and Taylor have infrequently performed together, including a collaboration with Paul Rodgers under the name Queen + Paul Rodgers which ended in May 2009.The band have released a total of 18 number one albums, 18 number one singles, and 10 number one DVDs. Estimates of their album sales generally range from 150 million to 300 million albums, making them one of the world’s best-selling music artists. They received a Lifetime Achievement Award from the British Phonographic Industry in 1990, and were inducted into the Rock and Roll Hall of Fame in 2001. English rock vocalist and songwriter Ian Gillan was born 19 August 1945 . He was the lead singer and lyricist for Deep Purple.Initially influenced by Elvis Presley, Gillan fronted several groups in the mid sixties, most notably Episode Six, but first found widespread commercial success after joining Deep Purple in 1969. Deep Purple were formed in Hertford in 1968. The band is considered to be among the pioneers of heavy metal and modern hard rock, although their musical approach changed over the years. Originally formed as a progressive rock band, the band shifted to a heavier sound in 1970. Deep Purple, together with Led Zeppelin and Black Sabbath, have been referred to as the “unholy trinity of British hard rock and heavy metal in the early to mid-seventies”. They were listed in the 1975 Guinness Book of World Records as “the globe’s loudest band” for a 1972 concert at London’s Rainbow Theatre,and have sold over 100 million albums worldwide. After an almost non-stop workload, during which time he recorded six albums in four years, and problematic relationships with other band members, particularly guitarist Ritchie Blackmore, Gillan resigned from the band in June 1973, having given a lengthy notice period to their managers. After a short time away from the music business, he resumed his music career with solo bands the Ian Gillan Band and Gillan, before a year-long stint as the vocalist for Black Sabbath. He rejoined a reformed Deep Purple in 1984, but was fired in 1989. He rejoined the band for a second time in 1992 for their twenty-fifth anniversary, and following the recruitment of guitarist Steve Morse in 1994, has helped transform the group into a regular touring outfit, which he has fronted ever since. In addition to his main work—performing with Deep Purple and other bands during the 1970s and 1980s—he sang the role of Jesus in the original recording of Andrew Lloyd Webber’s rock opera Jesus Christ Superstar, performed in the charity supergroup Rock Aid Armenia, and engaged in a number of business investments and ventures, including a hotel, a motorcycle manufacturer, and music recording facilities at Kingsway Studios. More recently, he has performed solo concerts concurrently with his latter career in Deep Purple, and his work and affinity with Armenia, combined with his continued friendship with Tony Iommi since his brief time in Black Sabbath, has led to him to form the supergroup WhoCares with Iommi. His solo career outside of Deep Purple was given a comprehensive overview with the Gillan’s Inn box set in 2006. Deep Purple were ranked number 22 on VH1’s Greatest Artists of Hard Rock programme and a poll on British radio station Planet Rock ranked them 5th among the “most influential bands ever”. The band received the Legend Award at the 2008 World Music Awards. Deep Purple (specifically Blackmore, Lord, Paice, Gillan, Glover, Evans, Coverdale and Hughes) were inducted into the Rock and Roll Hall of Fame in 2016. Best known for creating the American science fiction series Star Trek, the American television screenwriter, producer and futurist”Gene” Roddenberry was born August 19th, 1921 in El Paso, Texas. He grew up in Los Angeles, California where his father worked as a police officer. During World War II, His father flew 89 combat missions in the United States Army Air Forces and once he was demobbed he worked as a commercial pilot after the war and also as a Freelance Writer, writing scripts for Highway Patrol, Have Gun–Will Travel, and other series, before creating and producing his own television program, The Lieutenant. In 1964 Gene Roddenberry created Star Trek, which premiered in 1966 and aired for three seasons on the television network NBC. It followed the interstellar adventures of Captain James T Kirk (William Shatner) and his crew aboard the starship USS Enterprise, a space exploration vessel, built by the interstellar federal republic United Federation of Planets in the twenty-third century. The Star Trek canon of the franchise includes The Original Series, an animated series, four spin-off television series, its film franchise and an upcoming television series scheduled to debut in 2017. Roddenberry took his inspiration for Star Trek from the Horatio Hornblower novels, Gulliver’s Travels, and by works of western genre such as the television series Wagon Train. These adventures continued in the short-lived Star Trek: The Animated Series and six feature films. Numerous spin-off television series have been produced including: Star Trek: The Next Generation, which followed the crew of a new starship Enterprise set a century after the original series; Star Trek: Deep Space Nine and Star Trek: Voyager set alongside the The Next Generation; and Star Trek: Enterprise, this series is set before the original series in the early days of human interstellar travel. The adventures of The Next Generation crew continued in four additional feature films. After a gap It was revived by director JJ Abrahams in 2009 and the film franchise underwent a “reboot” set in an alternate timeline, or “Kelvin Timeline. 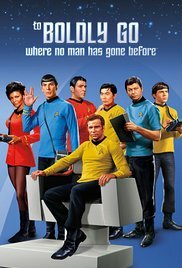 This stars Chris Pine, Zachary Quinto, Zoe Saldana and Simon Pegg as younger versions of the original 1960’s characters. Leonard Nimoy, who starred as Spock in the original series also makes a Cameo appearance as himself in one of the films, and Benedict Cumberbatch stars as a younger version of Kahn, who was originally portrayed by Ricardo Montalban. It was followed by two sequela Star Trek Into Darkness (2013) and, Star Trek Beyond (2016), which was released to coincide with the franchise’s 50th anniversary. Plus there is also A new Star Trek TV series, entitled Star Trek: Discovery, which is available on Netflix. The popularity of the Star Trek universe and films also inspired the gentle parody/homage film Galaxy Quest (1999), as well as many books, video games and fan films set in the various “eras” of the Star Trek universe and the Star Trek universe Roddenberry created has left a long lasting legacy, and continues to be very popular. Best known as the founder of the rock band Cream, the English drummer Peter Edward “Ginger” Baker was born 19 August 1939 in Lewisham, south London. His mother worked in a tobacco shop; his father, Frederick Louvain Formidable Baker, was a bricklayer and Lance Corporal in the Royal Corps of Signals in WWII who died in the 1943 Dodecanese Campain Baker began playing drums at age 15 around 1954as an outlet for his restless energy. In the 1960’s he took lessons from Phil Seamen one of the leading British jazz drummers of the post-war era. He joined Blues Incorporated, where he met bassist and future Cream bandmate Jack Bruce. The two clashed often, but would be rhythm section partners again in the R&B/blues/ jazz group The Graham Bond Organisation. In 1966 Baker co-founded the band Cream with guitarist Eric Clapton Jack Bruce. Cream played A fusion of blues, psychedelic rock and hard rock, Baker’s drumming attracted attention for his style, showmanship, and use of two bass drums instead of the conventional one. In his early days, he performed lengthy drum solos, most notably in the Cream song “Toad”, one of the earliest recorded examples in rock music. Cream released four albums in a little over two years before breaking up in 1968. After Cream Split Baker then joined the short-lived “supergroup” Blind Faith, composed of Clapton, bassist Ric Grech, and Steve Winwood, who was nine years younger than Baker, on keyboards and vocals. They only released one album before breaking up. In 1970 Baker formed, toured and recorded with fusion rock group Ginger Baker’s Air Force. Ginger Baker’s Air Force, Baker spent several years in the 1970s living and recording in Africa, often with Fela Kuti, in pursuit of his long-time interest in African music. Baker lived in Nigeria from 1970 until 1976. He sat in for Fela Kuti during recording sessions in 1971 released by Regal Zonophone as Live! (1971) Fela also appeared with Ginger Baker on Stratavarious (1972) alongside Bobby Gass, a pseudonym for Bobby Tench from the Jeff Beck Group. Stratavarious was later re-issued as part of the compilation Do What You Like. In 2016, Baker was diagnosed with “serious heart issues” and cancelled all future gigs until further notice. In 2016, Baker underwent pioneering treatment for his heart condition. A heart operation was done in July 2016 with Baker reported to be on the road to recovery. In 2012, the documentary film Beware of Mr. Baker of Ginger Baker’s life by Jay Bulger had its world premiere at South By Southwest in Austin, Texas where it won the grand jury award for best documentary feature. It received its UK premiere on BBC One on 7 July 2015 as part of the channel’s Imagine series. Among Baker’s other collaborations are his work with Gary Moore, Masters of Reality, Public Image Ltd, Atomic Rooster, Bill Laswell, jazz bassist Charlie Haden, jazz guitarist Bill Frisell, and another personally led effort, Ginger Baker’s Energy.